Plasma therapy, joint replacements, knee reconstructions, MRIs, radiation and chemotherapy, chiropractic therapy…all of these treatments and more are now available for pets. According to Dr. John Payne of Pittsburgh Veterinary Specialty and Emergency Center (PVSEC), many chronic diseases that affect humans—such as cancer, diabetes, osteoarthritis and degenerative disc disease—can also affect dogs and cats. “I think people nowadays are more aware of chronic diseases,” said Payne, noting that there is usually another disease process or injury that has led to most chronic conditions. One area that has exploded in this field is minimally invasive surgery using arthroscopic and laparoscopic technology. “There’s less pain and a faster recovery,” explained Dr. Payne, who has been using this adjunctive therapy—mostly on large-breed dogs—as an alternative to conventional surgery. An alternative to surgery altogether, platelet-rich plasma therapy, consisting of concentrated platelets being injected into the joint to take advantage of platelet-derived growth factor, is a newer method of treating canine osteoarthritis. 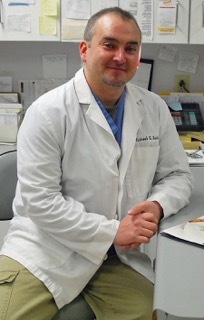 As a Certified Veterinary Chiropractor, Dr. Michael Savko’s goal is to avoid or reduce surgical procedures and drugs altogether. 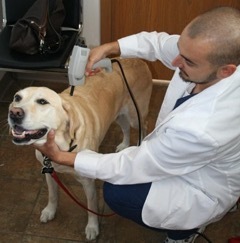 At the Suburban Animal Clinic in Butler, he makes animals more comfortable through a variety of techniques, including muscle work and acupressure. “Chronic ailments like diabetes and cancer are difficult to get a handle on because there’s a disease process attacking the body,” he explained, noting that the objective is to manage an incurable disease in a way that makes the animal more comfortable. In some instances, he is even able to restore function. “In some cases, we can either resolve the problem or make the animal as good as it can possibly be,” he said, recalling a recent terminal patient. “A cat had one of the worst cases of skin cancer I’ve ever treated and was going through chemo. I was able to make that animal more comfortable and social. This allowed the owner to have more peace with the situation. The cat died after nine months, but it passed away gently.